Athens (formerly known as Attica) is home to about 5 million Greeks, a quarter of the country's population. 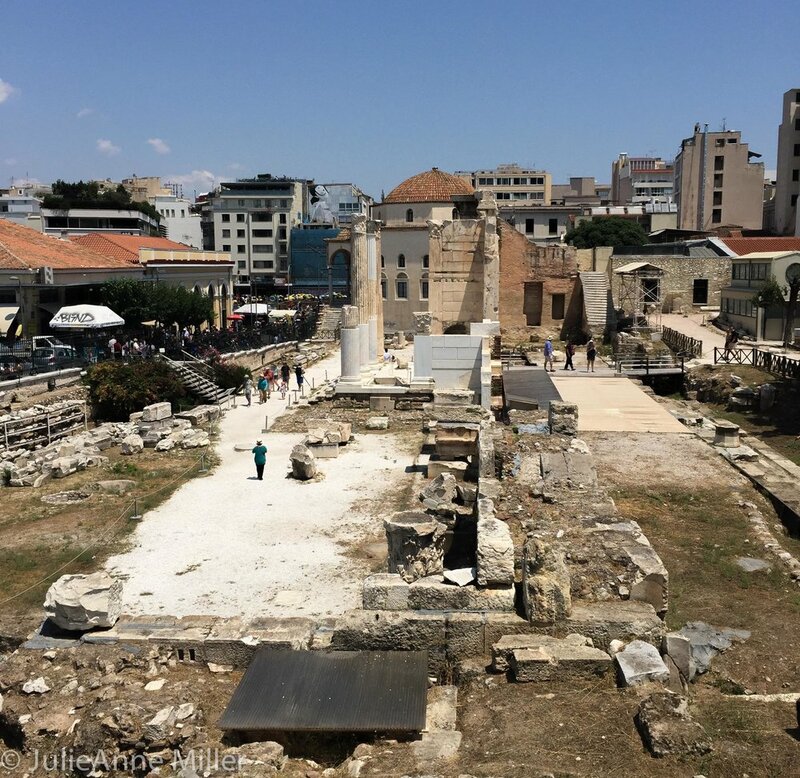 At its epicenter near the Parliament at Syntagma Square, most major sites are within about a 3 mile radius and easily walkable and metro-accessible. 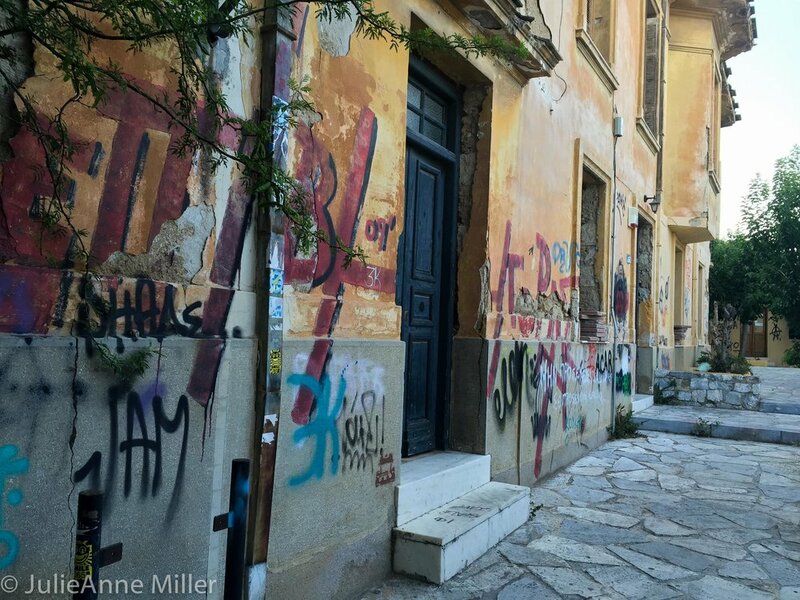 The Plaka is the oldest part of Athens and a great place to eat, shop, drink (Bretto's distillery) -- and get hassled by gypsies and immigrants of questionable legal status. 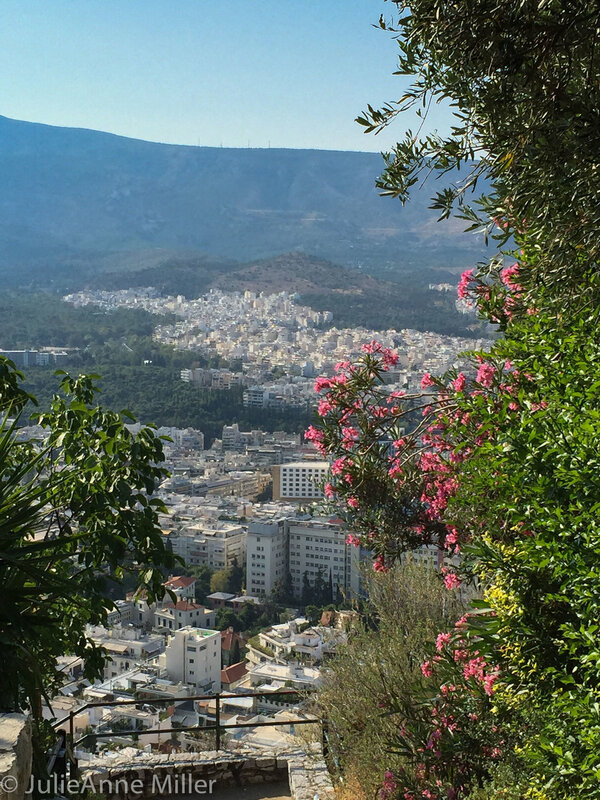 The panoramic views from Mount Lycabettus, Athen's highest hill, give you a layout of the city. A tram transports people from its base, up through the mountain, to its peak...or you can walk up. 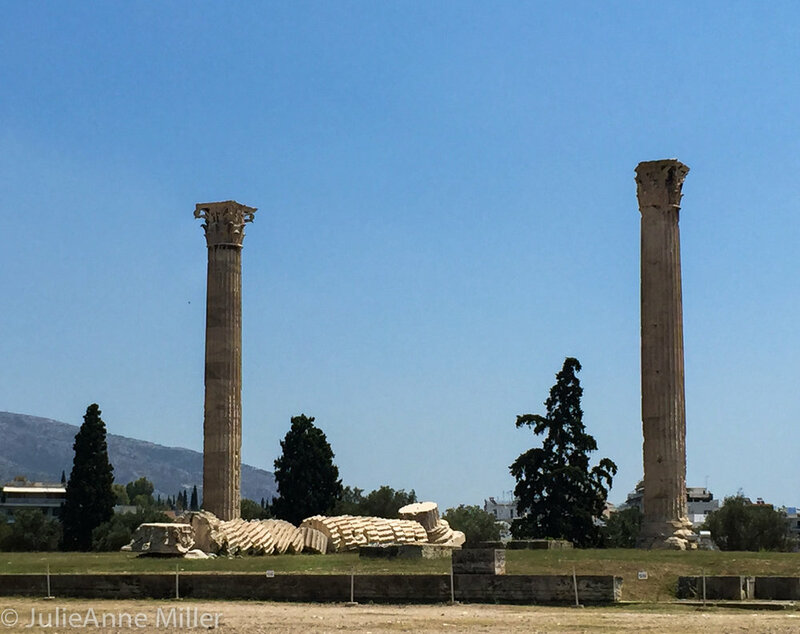 Either way, do not miss this bird's eye vantage of every ancient site in Athens. The Plaka is just below the Acropolis, upon which sets the Parthenon, the Erechtheion, and the Temple of Athena Nike. The museum at the base of the Acropolis has models showing the evolution of the prominent outcrop over time, dating back to the Neolithic era. Well worth the entrance fee, just to see the models! 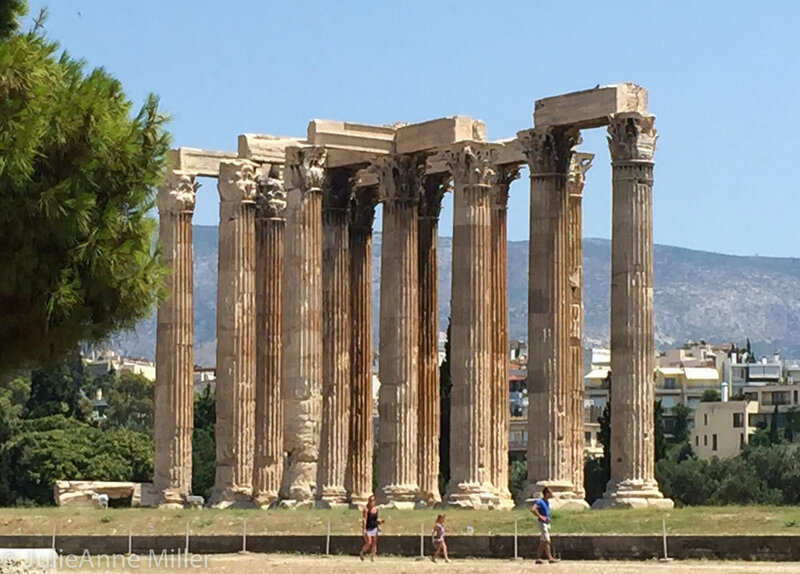 Also in the vicinity of the Plaka are the Temple of Zeus, Hadrian's Library, and the all-marble Panhellenic stadium, which has been the site of athletic games as far back as 500 B.C. 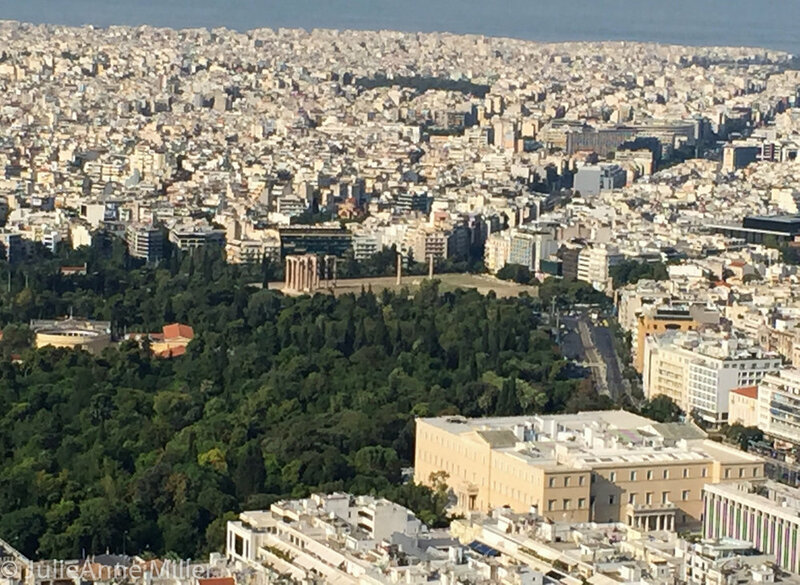 From the Panhellenic stadium, a short 10 minute through the National Gardens takes you right to Syntagma Square and the Parliament building. 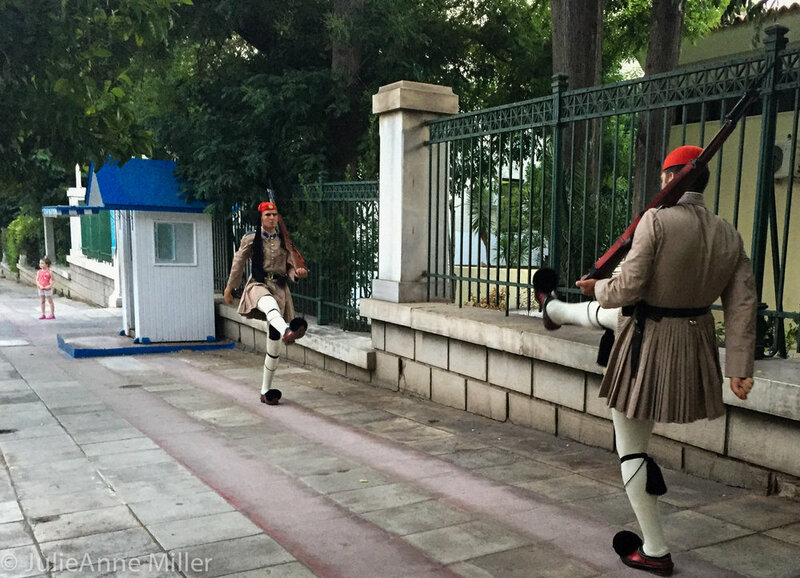 In front of the Parliament, the Evzones, a special unit of the Greek Army, guard the Monument of the Unknown Soldier. Every hour, a ceremonial guard change occurs in impossibly slow motion, with impeccable precision. Their knees lift in unison, they extend their legs and hover, they step forward, they repeat. It's a fascinating display of strength and concentration. 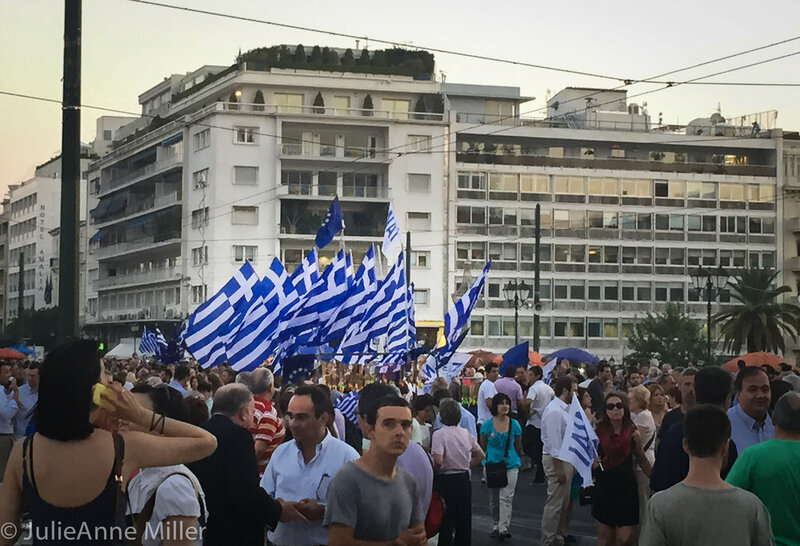 With the country's European Union fate in jeopardy during July of 2015, Syntagma Square was ground zero for all those in favor of voting "OXI" (no) to austerity measures. 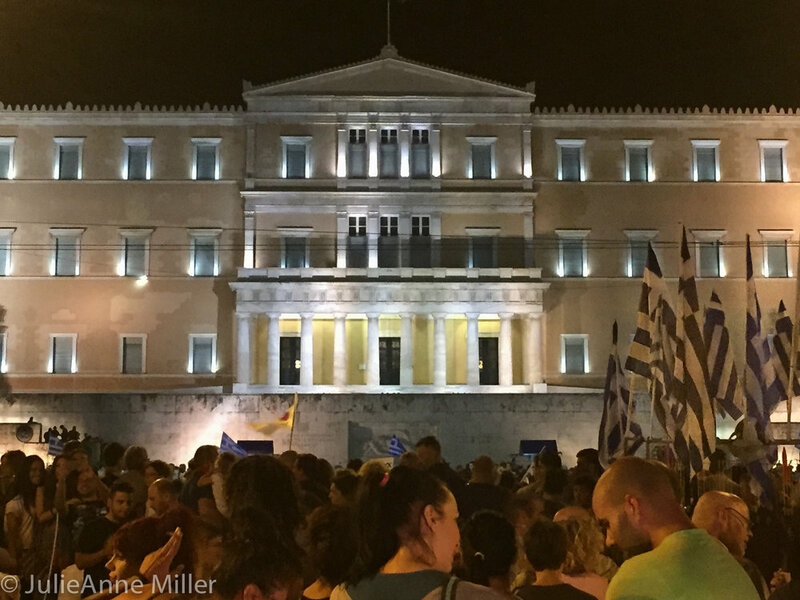 Less exciting was the "NAI" (yes) rallies at the Panhellenic stadium. It was clear to anyone on the ground which way the public was going to vote. The OXI's had it!